There are some many amazing benefits of meditation for athletes. Not only can you get better athletic performances from meditation, meditation can also help with the stress of performing. Being a world renowned sporting hero or top athlete is no easy task. Obviously being a high profile sports star has its perks, but it also creates high amounts of responsibility, pressure and expectation. That stress has a serious effect on the brain and on an athlete’s performance . One of the benefits of meditation for athletes is that it can help with those pressures. Kids that stand out in their area or high school within a certain sport also deal with similar pressures. In fact, all athletes deal with different emotions, expectations, and pressures regardless of the level that they compete at. What separates the great from the good normally comes down to the athlete’s mental strength or mindset. Talent is obviously a key ingredient for success along with good coaching, but how an athlete responds in key moments is normally the difference maker. Junior and college athletes don’t always become the best in their sport. All of the world’s best athletes are the ones that were able to grind it out through the stress that tough times, crucial moments, and controversy brings to the table. There are many ways for athletes to deal with stress. Meditation is proving to be a very popular and successful stress outlet for athletes. Along with the amazing 100 health benefits of meditation, there are some very specific benefits of meditation for athletes. Let’s take a closer look at the benefits of meditation for athletes. 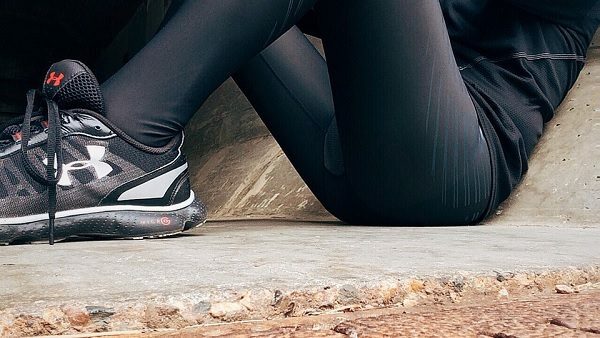 A study in the journal of Health Psychology recently found that for athletes, meditation offers a way to stay motivated to exercise and practice on a regular basis. Another key thing about meditation for athletes is that it helps athletes to feel satisfied with the work and effort that they put in. Being present with the help of meditation gives athletes the capacity to tap into their inner motivation and satisfaction resources. Read our guide to meditation for motivation for more on this. Data shows that upwards of 50,000 thoughts go through our heads on a daily basis and that many of these thoughts tend to be on the negative side of the spectrum. For athletes, negative thoughts equate to poor performance. A period of mental pausing before practice, a workout, or a game allows us to reset our minds and to enter that next activity in a space that promotes positive thoughts and intentions. Pre-game meditation can be the difference between a win or a loss. Hence why so many sports-stars do it. Studies show that beliefs affect real life actions. Negative beliefs can heavily impact an athlete’s performance. But you can change those negative beliefs by being more aware of your thoughts. Being mindful doesn’t imply the absence of thoughts, it is about becoming aware of the though patterns that we do have. The only way to limit negative thoughts is to firstly be aware of these thoughts, and to then change these negatives into positive thought chains. If we are aware of our thoughts we can take them to the next level by adding an element of visualization to them through meditation. One way how to meditate for athletes is to use visualization. Specifically: Visualize your success. Being mindful during meditation allows us to track our thought patterns and to change them into what we believe. To remain meditating in a sitting position for longer, explore Kenshō way’s guide. For example, during your last match you missed a 3 pointer right at the buzzer to win the game, this is haunting you and everyone around you seems to be bringing it up as well. Before you know it the belief that you aren’t able to deliver when the pressure is on starts to creep into your mind. By meditating, athletes can identify negative thought patterns, and then rewrite the script by changing the story. Imagine making that shot right before the buzzer while you meditate. See the ball go in through the net, feel that feeling of excitement from within, hear the fans cheer from the side of the court. If we as humans believe in something, if we visualize it, and if we attach the correct emotions to it, it will seem to our minds as if it really happened. The next time you are faced with that game winning shot all those past negative thoughts will be gone, and this all through the help of meditation. Under the pressures of competition it is easy to lose focus about what sport really is all about. It is easy for sport to become all about beating the other athlete no matter what, or for it to be about winning the prize money. Athletes that are mindful are able to see sport for what it really is, a place where like-minded friends can compete in a sport that they are passionate about. Bringing this spirit back into sports allows us to compete for the right reasons, the power of being mindful through meditation is very strong and it elevates performance beyond what we ever thought we were capable of. The result of this can often be seen in team sports where a team rallies around their team spirit and around playing for each other instead of losing focusing by trying to beat the opponents instead. Legendary NBA coach, Phil Jackson, introduced the idea of mindfulness to his teams. His whole perspective was that performance would be elevated if players can align who they are and how they live with authenticity. He had initial success with this thought process at the Chicago Bulls and once he was at the Los Angeles Lakers it became standardized process for his teams to center and ground themselves through mindfulness meditation. Meditation massively improves sleep quality. Good quality sleep is imperative for athletes that aspire to greatness. Sleep affects your mood, stress levels, energy levels, concentration and a variety of other performance related aspects. Sleep affects the recovery of muscles and the functioning of our immune systems. A study conducted at the University of Wisconsin School of Medicine and Health found that meditation improves sleep and sleep quality and as a result those that meditate are less affected by acute respiratory infections. The above mentioned advantages that meditation has for athletes are just the beginning. Athletes that meditate benefit from it both in their sport and in life in general. In the fast paced world that both professional and amateur athletes live in it is essential to take a moment each day to be mindful, to appreciate your sport, and to compete with spirit. 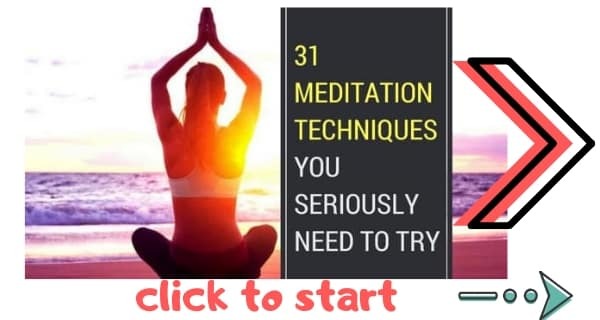 There are 31 major meditation techniques you should try. 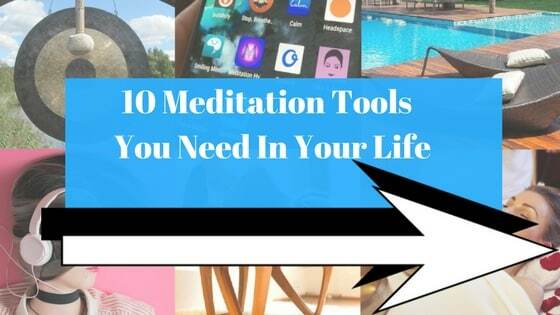 Some of those are especially good meditations for athletes. Movement meditations will relax your mind and heighten your mind-body connection. Exercises like qigong, tai chi and dance meditations are perfect for athletes. Read our guide to movement meditations for more on this. Yoga meditation techniques combine the very best of meditation with the best of mindfulness. There are many great yoga meditations for athletes. And they’re some great pre-game meditations when you want to focus your mind to get that win. Read our guide to yoga meditation. Taoist meditations are all about finding your inner harmony and making body and mind work as one. These are the types of meditations Bruce Lee did. And we all know how awesome he was.